Harlequin SuperRomance Authors Blog: At last! It took me only six or seven years, but I've set up a Facebook author page. Finally! I should have had one all along. I resisted for two reasons. I really have a lot of fun on my profile page. I like how casual things are there. I like sharing tidbits about my life—nothing earth-shattering, but friendly and nice. Many of my readers follow me there. Occasionally, I post promotion about recent releases, or about authors whose books I really like, but would rather keep promotion to a minimum. On the other hand, I've been told I can still have a lot of fun on an author page. It doesn't have to be all about promotion. I can post all of those fun tidbits there, too. I like the sound of that. The other, and probably main, reason I resisted is that technology and I have a love-hate relationship. We don't always get along. Even though my website is simple, I take a deep breath before updating it because I'm certain I'll do something wrong and lose the entire thing into the ether! LOL! I know that's unlikely, but I worry nonetheless. I've scoured author-ly advice about how to care for a FB author page and the biggest piece of advice is that I should post every day. Oh boy, that's tough. I don't have interesting things to say every day! Usually, on my profile page, I share only when something catches my fancy, or a funny event happens in my day, or I post a photo of the new scarf I made, or when I have a new book out. Now I should be posting every day? I can try to do that, but on the days when I really don't have anything interesting to share, I won't push it. There is an overload of info out there floating around the internet these days. The world doesn't need my 'duty' posts. I will, though, share my fun tidbits as they arise! 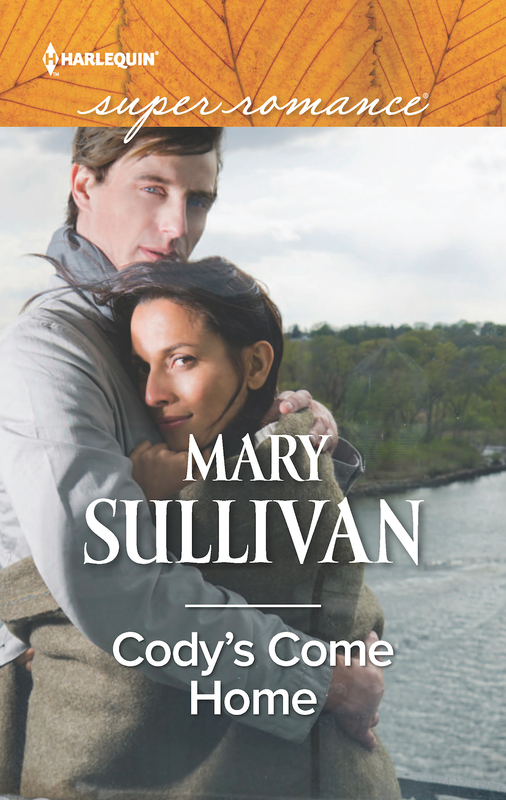 Then, if you want to, please slip back over here and let me know that you've done so and I will enter your name into a draw to win a copy of my April release, CODY'S COME HOME. Victoria, I see it now that you've mentioned it!!! I LOVE Benedict Cumberbatch. I would get lost with him in the woods ANY day! LOL! I have not gotten on the facebook bandwagon... have enough to fill my day with, LOL. Colleen, I hear you! If I didn't have author-ly things to do, on social media I would probably hold off on all of this kind of thing. I will add you to the draw anyway! All signed up. Count me in thanks.